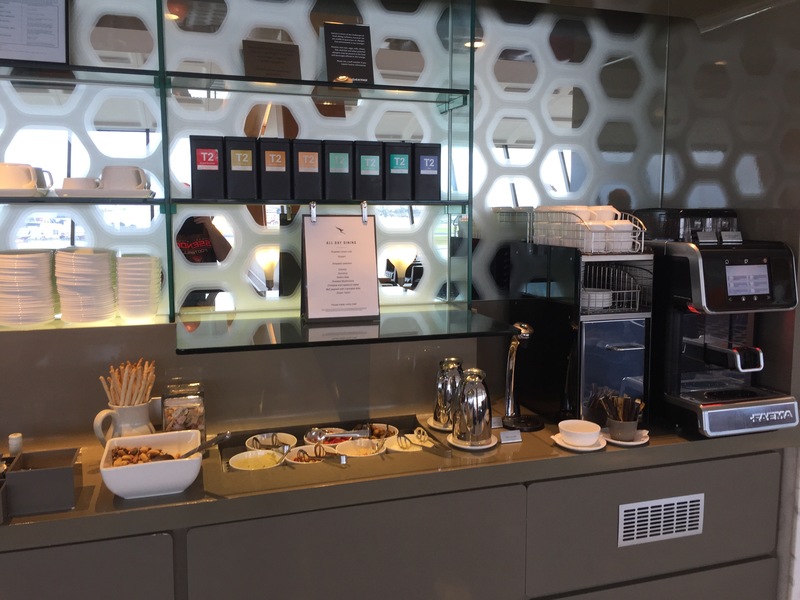 I accessed the International First Class Lounge as a QANTAS Platinum member, while I was travelling in Business Class later that day this would not have gotten me into the lounge. 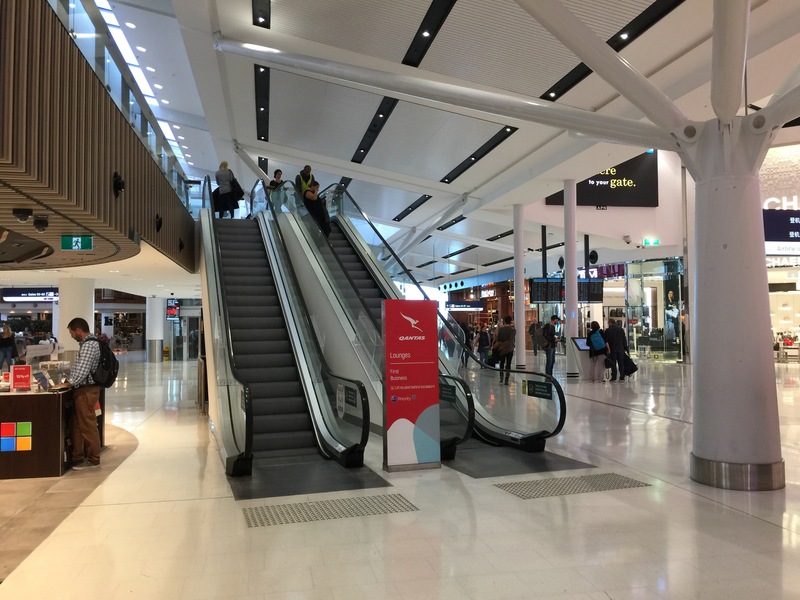 The Qantas Sydney International First Class Lounge is in international terminal on level four, just follow the many signs after clearing passport control and the duty free shops. The escalators are located near gates 9 and 10. 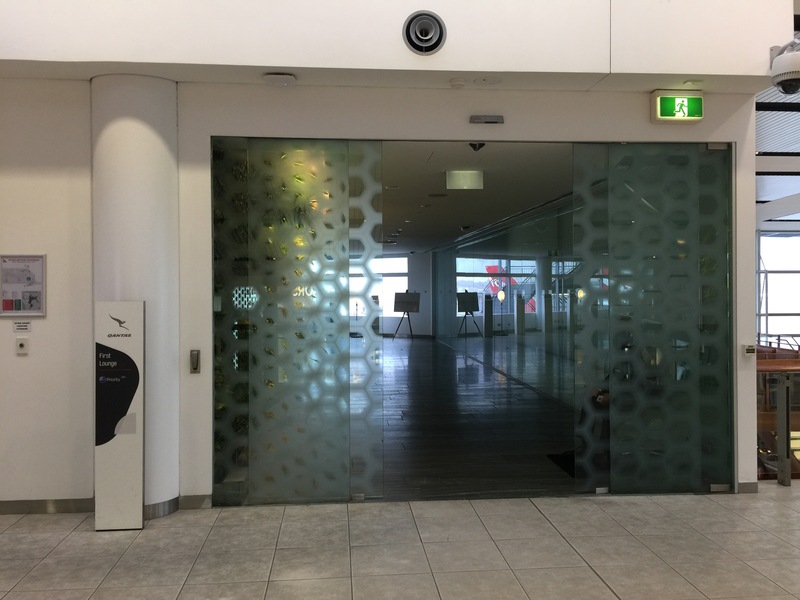 Take the escalators up to the third level and you will see the frosted first class doors from which many passengers will be rejected and sent to the Qantas Sydney International First Class Lounge. 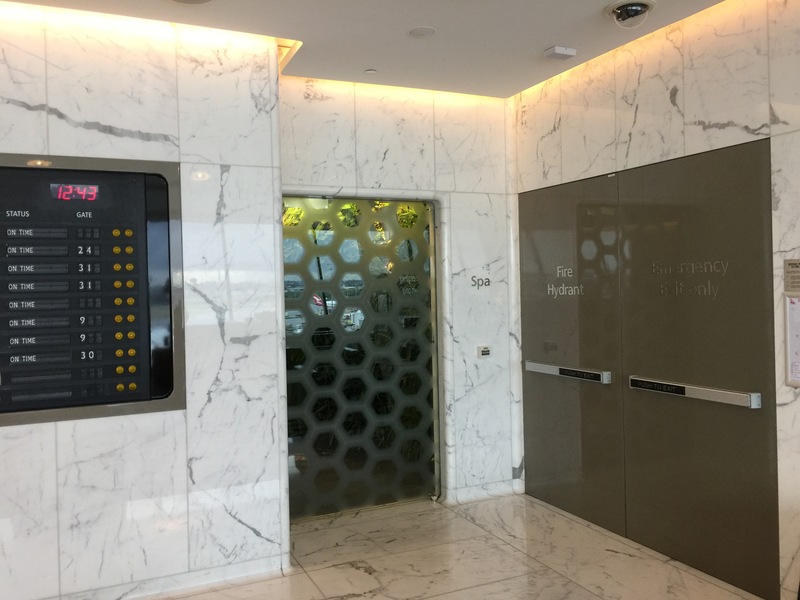 A short walk past plant life somehow maintained in this inside setting and you will find another escalator to the fourth floor and you will find the lounge entry next to old style flight notification board. Tip: Make sure you inquiry about the free Spa Treatment booking at the lounge entry desk as spots fill very fast (mostly taken by actual First Class passengers who can book 24 hours before they travel. 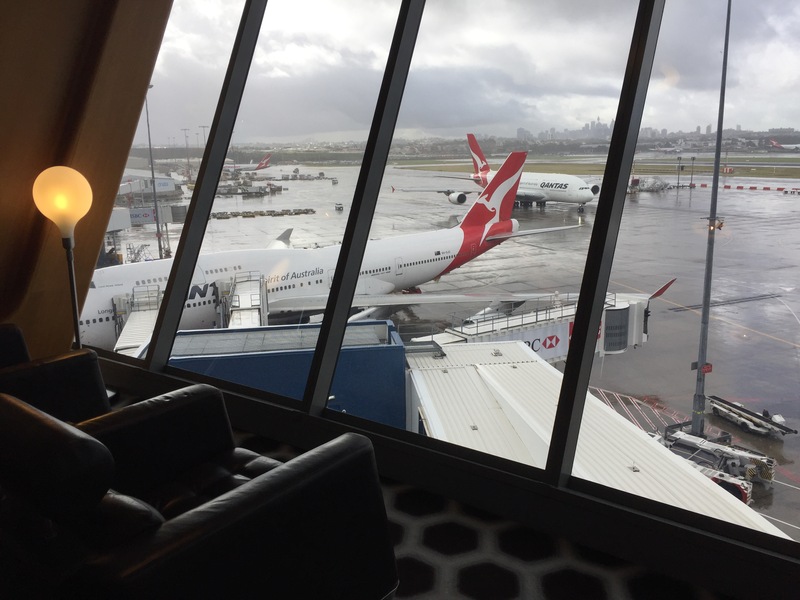 The Qantas Sydney International First Class Lounge area is large, you enter roughly in the middle, turning left will take you towards the library area with two booked quiet rooms, turning left will eventually see you at the Spa Treatment facility. 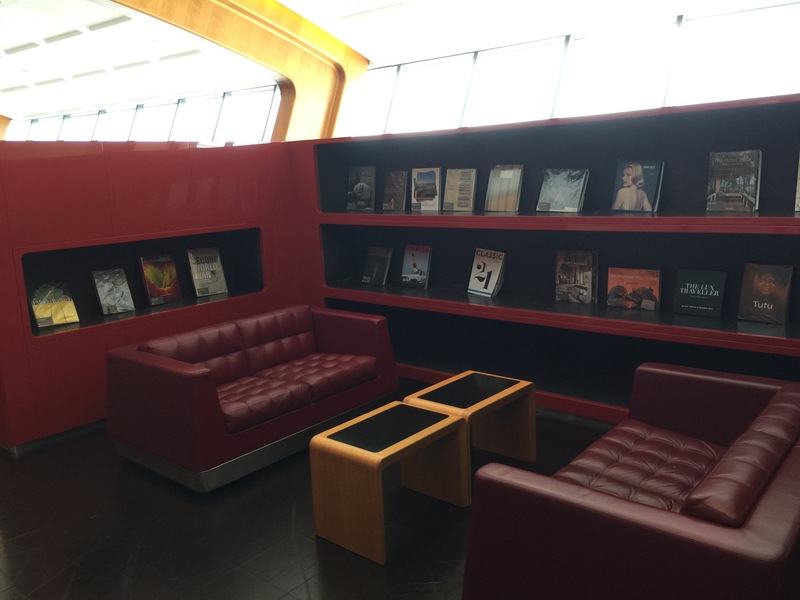 The seating areas can seem both intimate but at the same time spacious, the chairs vary in style (all good) and are very comfortable and cozy, especially the reclining chairs near the windows so you can watch the planes. 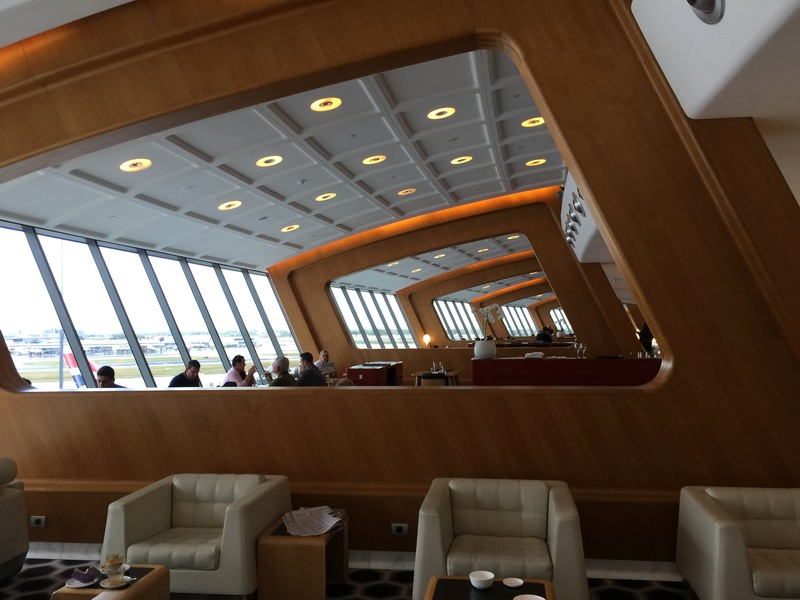 The lounge has an entire glass viewing area with a view of the tarmac and the coming and going planes. The natural light is very refreshing, and even more speculator when a storm passes (which occurred when I visited). There are several small service stations with some very minor snacks but the main game is the restaurant areas spread across the lounge. You take a seat and a waiter will quickly bring a menu and offer water (still or sparkling). You can order beers and wines immediately or when the waiter comes back for your meal order. 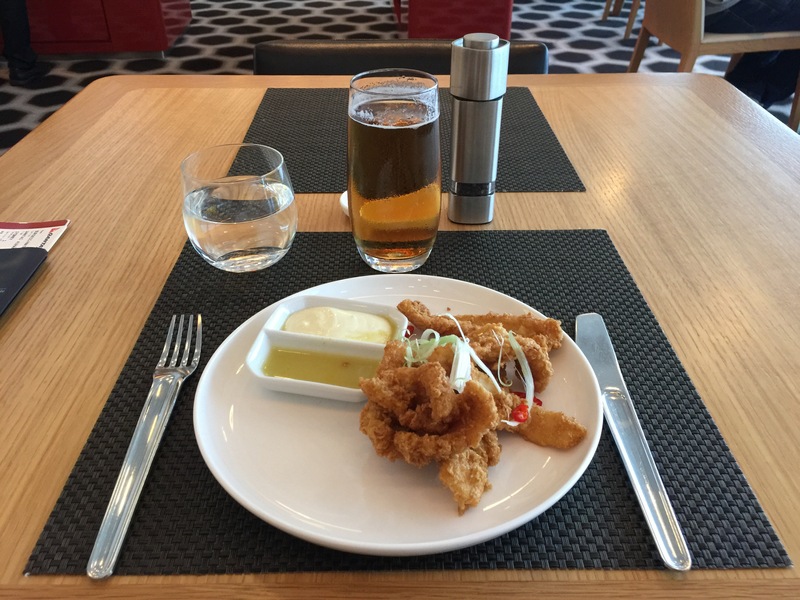 On my first sitting (yes I came back 2 hours later) I had the Salt and Pepper Squid which was amazing with a James Boag premium light. I followed this up with a dessert of French vanilla ice cream. At my second sitting (after walking around the International Terminal) I ordered the stunning risotto mushroom. There are showers, toilets, several TVs which have either Pay TV Station Sky News or free to air Channel Nine, several iMac computers (which you can select PC mode on), printing/photocopying facilities, multiple tea / coffee stations. There are a number of power outlets to plug in your laptop or other equipment. Free Wi-Fi is offered which I used for about 30 minutes and it appeared to be very fast for a free. One of the major extras of this lounge is the free spa treatment. As mentioned earlier you must book on the day if not flaying First Class so do it early. I arranged a booking for myself only 20 minutes after arriving at the lounge. 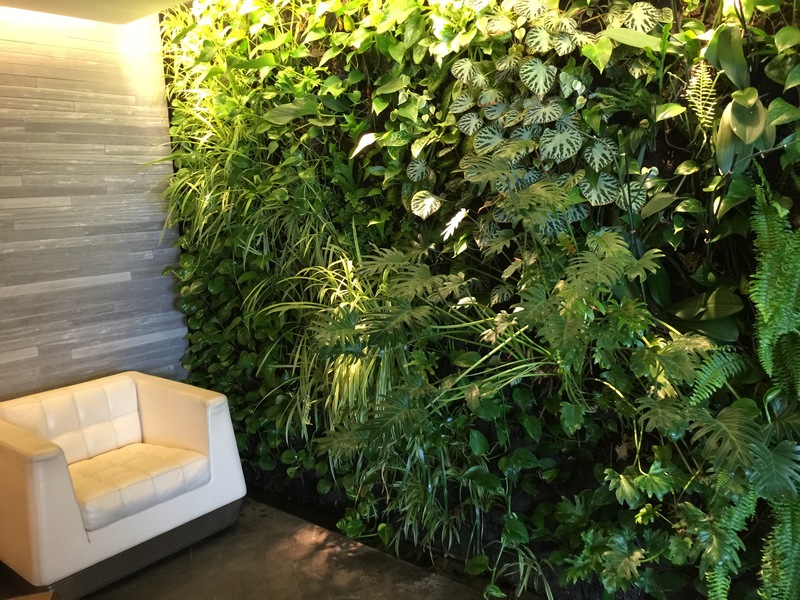 The Spa facility has indoor plants on the walls helping create a sense of wellness. I selected the Men’s Purifying Facial. Linda was an amazing attendant who engaged with me during the treatment with interesting stories from her life and health tips. I enjoyed the treatment so much I decided to forgo my normal shower before an international shower. Everything. The service is great, the menu for the sit down service is amazing, the views perfect. Not sure what more you could ask for. Nothing really. Maybe a few chairs that reclined more to sleep easier but not sure why you would need that during the hours the lounge operates. 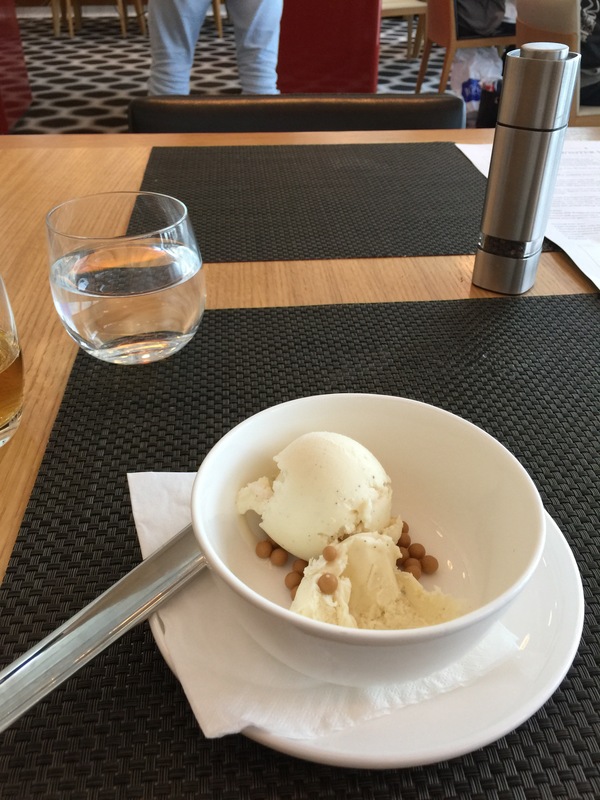 If you have access to the Qantas Sydney International First Class Lounge take it up. 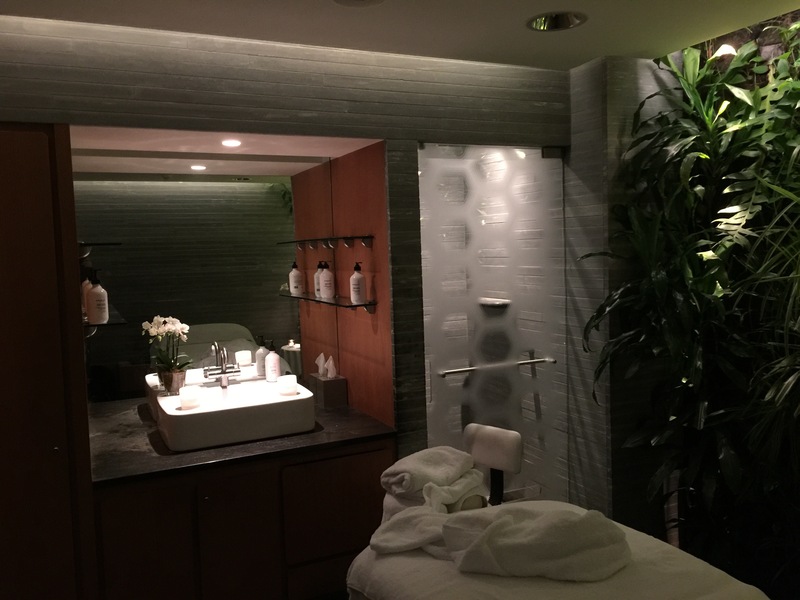 Book a Spa Treatment is you can, enjoy the sit down meal service and relax before your next international flight. 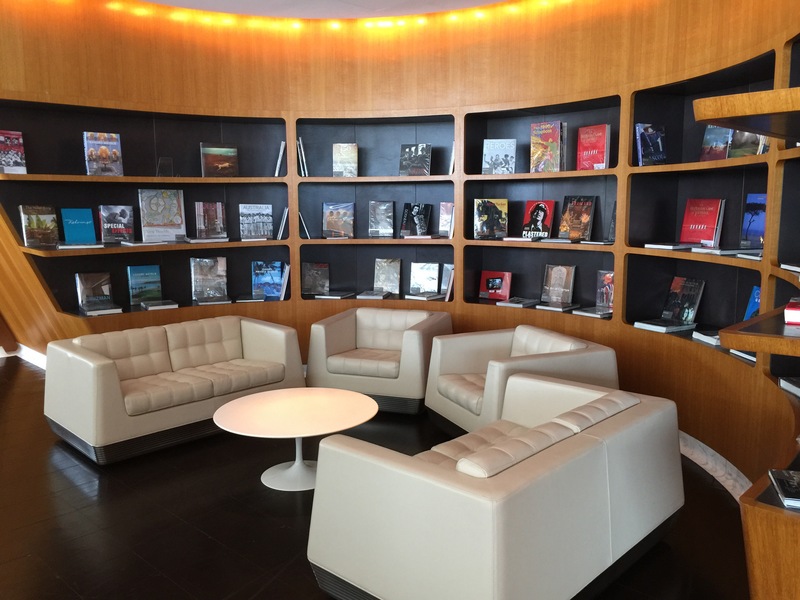 It will be hard to go back to lower status lounges or no lounges! 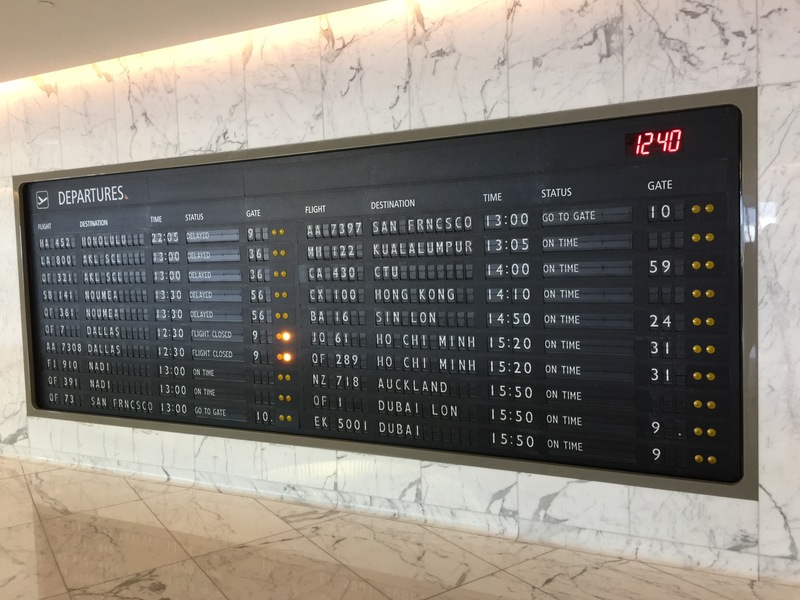 This entry was posted in Bali 2017, LoungeReview, Travel and tagged first lounge, Qantas First Lounge, Qantas Sydney International First Class Lounge. Bookmark the permalink. I’m sure that an EK F passenger also has access. I had that chance a few weeks back, but passed because it was an 0600 flight and I wouldn’t have had time for more than a rushed cuppa. Or flute. Totally agree on quality. The S&P squid is rightly famous, the location and views and service are top notch. Trust me, reclining lounge chairs are a worthwhile addition to any lounge. I could easily envisage someone feeling drained after a transPac flight and wanting a bit of a nap before a flight to New Zealand or somewhere. You could usefully cut down what’s shown on your home page to just an excerpt from each post. Otherwise a reader has to do a lot of scrolling to get to the next one. Looking at some of your photographs, they could usefully use some HDR attention. That’s when there are dim and bright areas in the same image, such as photographing anything in the lounge with those huge daylight windows behind. High Dynamic Range treatment dims the bright and brightens the dim. Often a camera will take three quick photos at different exposures and merge them into one that shows detail in both bright and dim areas.